The 13-date run kicks off April 20 in Florida. 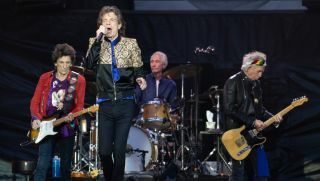 The Rolling Stones have announced 2019 U.S. stadium dates for their No Filter tour. So far 13 stops have been revealed, with the jaunt kicking off April 20 at Hard Rock Stadium in Miami Gardens, Florida, and includes stops in Houston, Seattle, Denver and other cities before wrapping in Chicago on June 21. Tickets for all shows go on sale November 30 at 10:00 A.M. local time. There is also a fan pre-sale on November 28 at 10 A.M. local time. Check out the full itinerary below, and head over to RollingStones.com for more information.